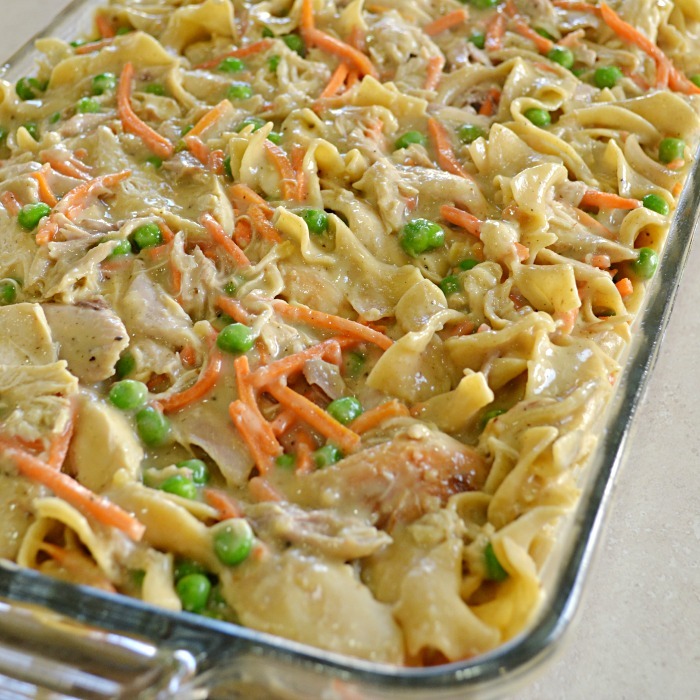 Make this Chicken Noodle Pot Pie Casserole on Monday and have enough for a few more days. The perfect busy week night dinner. 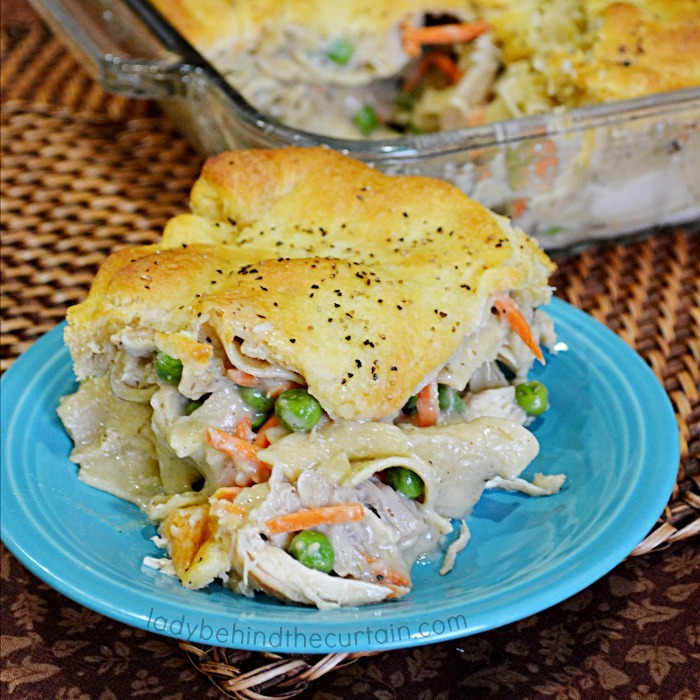 Full of creamy gravy, vegetables, chicken and pasta! All topped with a buttery crispy crust! 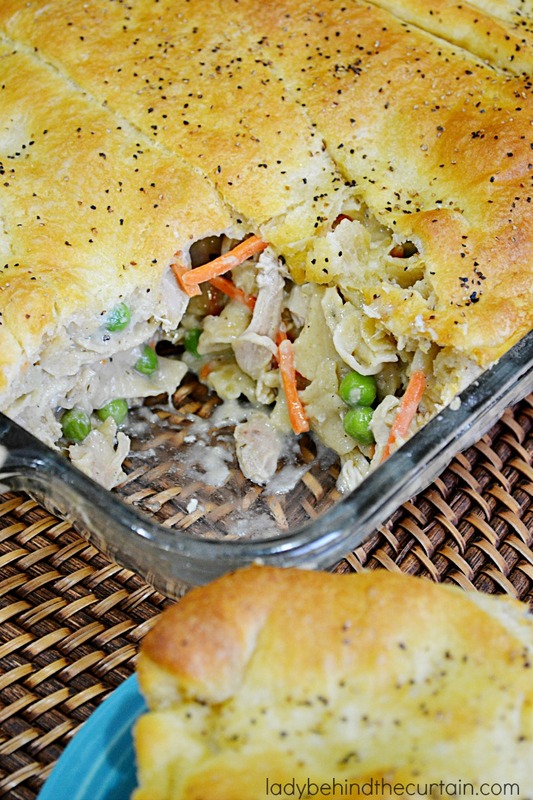 Serve up a bowl of comfort with this chicken noodle pot pie casserole. 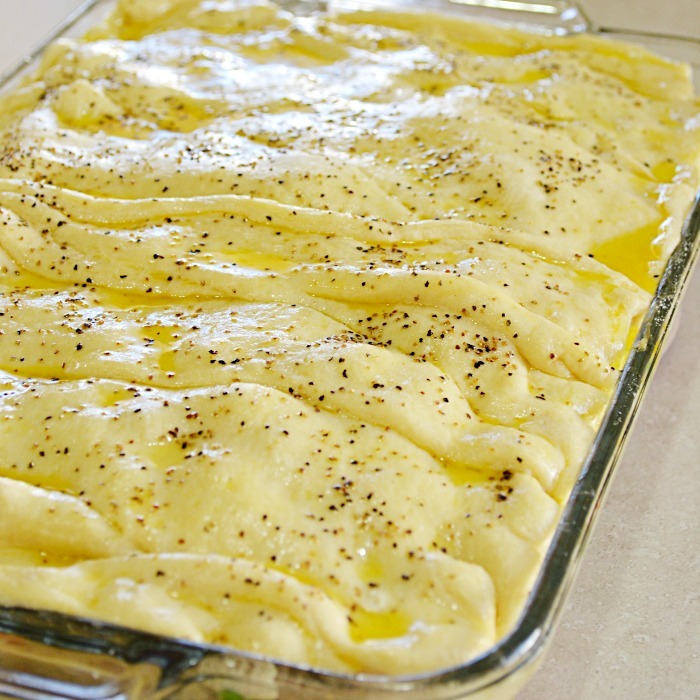 Large enough for a crowd but also freezes beautifully for future easy weeknight dinners. I know getting a home cooked meal on the table for your family is important but sometimes being in the midst of after school activities can make it difficult. 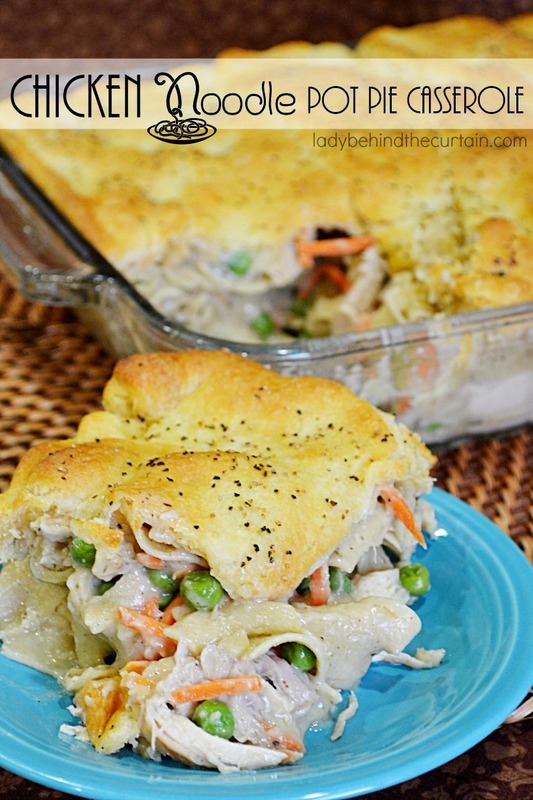 This chicken noodle pot pie casserole is easy to make, hearty and big enough for leftovers. 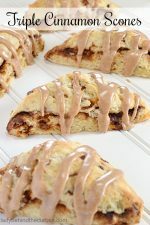 If you live in an area that doesn’t have crescent rolls or would prefer to use another type of dough, here are some ideas. 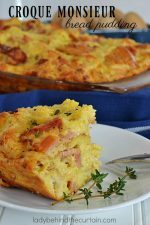 Puff Pastry adds a light and crispy topping while using canned or homemade biscuits brings the casserole into a hearty homey feel. Whatever dough topping you choose to use remember to add the melted butter! TIP: Have dinner ready in minutes! Double the gravy and freeze half for future use. Then all that will be needed are a few more ingredients. To freeze, I put a zip top bag inside of another zip top bag (label the outside bag), pour gravy into the inside bag, close, getting rid of as much air as possible. 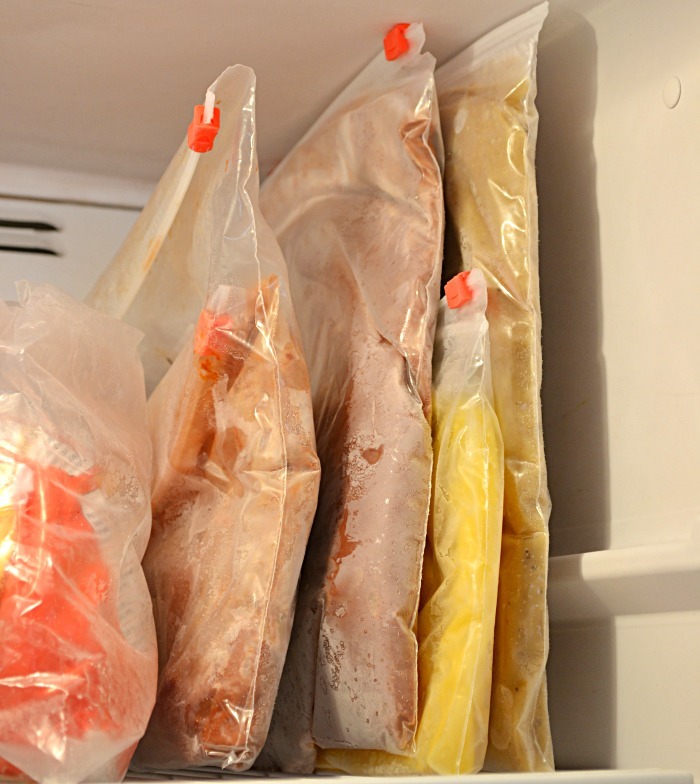 Close the outside bag, lay flat in the freezer. Once the gravy is frozen it can be stored upright like a file. I freeze all my sauces this way to help save freezer room. Making sure the flour is brown is EVERYTHING! A crowd pleasing casserole full of comfort and topped with a flaky crust. Lightly spray a 9x13-inch casserole dish with non stick cooking spray and set aside. Shred the chicken and set aside. 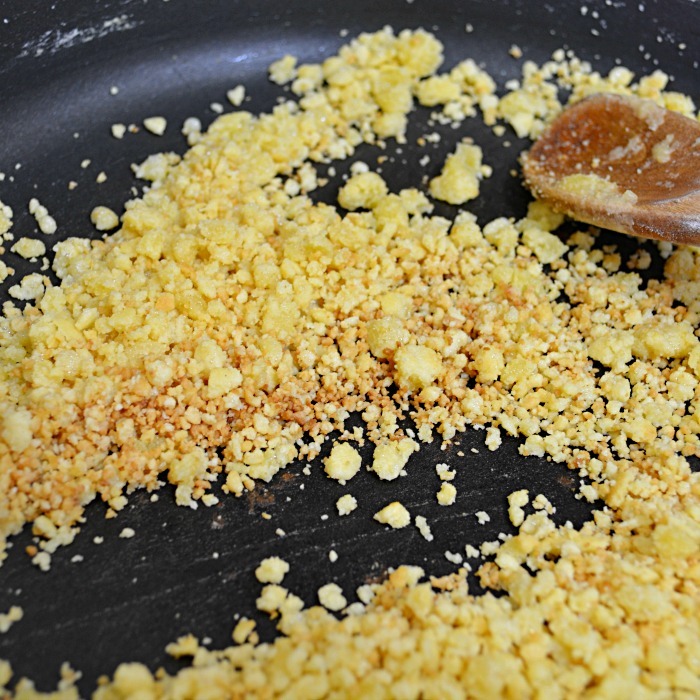 Sprinkle flour over top of melted butter. Whisk the flour into the butter. Continue whisking 10 minutes until the flour reaches a nice brown (This will give the gravy and nutty flavor). Slowly whisk in half of the chicken stock. Add remaining stock, heavy cream, poultry seasoning, salt and pepper. Whisk until smooth and the gravy thickens (about 10 minutes). Add peas, carrots, shredded chicken and cooked pasta. Open the can of crescent rolls. Unroll and place on top of the chicken mixture. Press to the edges and seal the perforated seams. Brush on the 2 tablespoons of melted butter and sprinkle with pepper. Cut slits for air vents. Bake 25 to 30 minutes or until the pastry topping is light and golden. Sheryl, this is comfort food and deliciousness with an exclamation point! 🙂 My family would love this! Thanks for sharing and pinning! Have a happy Friday and a fantastic weekend! Looks delicious. How would you freeze this? 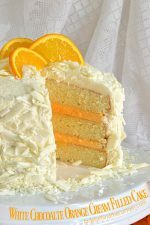 Should I bake before freezing? Hi Rachel, I would wait until ready to serve to bake the casserole. That way you’ll have a nice flaky crust. I want to try this. It looks very delicious. I would like to do this recipe to serve about 150 people at a church gathering. would it make well in a large amount if I multiply the ingredients times twelve. (the amount standard ingredients serve)? Was this supposed to be 12 ounces cooked or before cooked pasta? Hi Tina, Start with 12 ounces of dry pasta. I can’t raate this dish because I have not yet made it, but I’ll definately make it after my next trip to the grocery store. Just by reading the recipe I can say that it sounds delicious, and it’s certainly a very visually appealing casserole. I can’t wait to make & to enjoy it with my family. 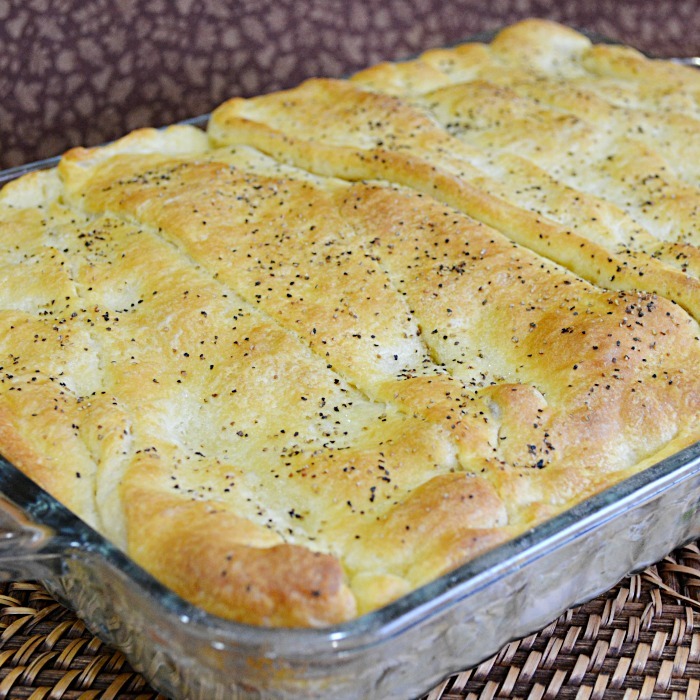 This looks like great dish for my family and can’t wait to try it. So glad I found your site. 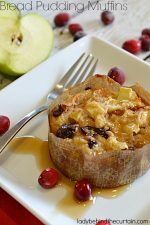 This looks so good and it would be perfect with the cooler weather! Just made this but used cream of chicken, chicken broth, and bouillon cubes. It is amazing!!! This will definitely be a frequent Sunday meal. Hi! Made this a few nights ago…we all loved it. Used 2% milk instead of the cream and sautéed some shallots and garlic in the butter…still turned out delicious! Thanks for the great recipe! I have this ready to go in the oven. I can’t wait to eat! Comfort food for sure Valerie. I tried this recipe, but didn’t have any cream, so I substituted a can of cream of chicken soup. just made this for the first time. A little time consuming but well worth it. Very good!!! 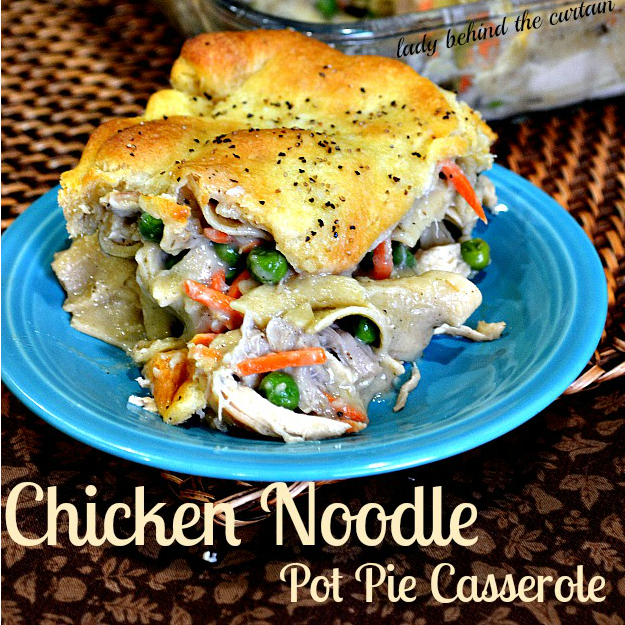 It never occurred to me that noodles would be a good addition to a pot pie…what a great reason to have more noodles! Thank you for this recipe and the many others that we have enjoyed of yours. could you clarify what type of wide noodles. Is it lasagna noodles? Looks delicious! But, bake for 13 minutes?? 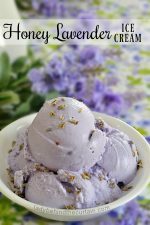 My finicky family LOVED this! I love make ahead meals and was wondering,do you think this would be a good freezer meal? My thought is to put it all together then freeze it before baking or would you recommend baking then freezing? Hi Julianne, Yes, I think that would be fine. Hi Janie! Sounds like a delicious dinner! very good but the top cooking time doesn’t match the bottom cooking time. 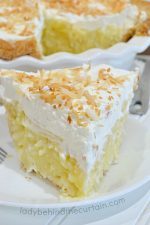 I will certainly give this recipe a try, so tired of trying to please everyone, this may be the answer, it looked wonderful. thank you for posting. Can I use the canned biscuits instead. Also, what about using less noodles? What other chicken can I use. Hi Sonya, You can roast your own whole chicken. I see from other replies that you recommend freezing before baking. My question is, after freezing, do you thaw it before baking or just pop it straight in the oven? Thank you. Hi Callie, I would place the casserole in a cold oven straight out of the freezer. Cover with foil, bake an additional 45 minutes to the original 30 for a total of 75 minutes. The internal temp of the casserole needs to reach a temperature of 160°. Take the foil off the casserole for the last 30 minutes. I just saw the “For the Freezer Version (Casserole)” section!!! Oops. I was so distracted by how delicious it looks in the pictures. Thanks for your help. Is this 3 lbs of chicken after shredding or a 3 lb rotisserie chicken and then shred? Hi Brittany, Use a 3 pound chicken before shredding. Hi Kimberly, If you use leftover soup, you’ll need to separate the vegetables and noodles from the broth. Use 4 cups of broth to make the gravy and then add the vegetables and noodles back into the casserole. You may have to add more vegetables and noodles depending on how much is in the leftover soup. Yes you can use any type of crust on the casserole.